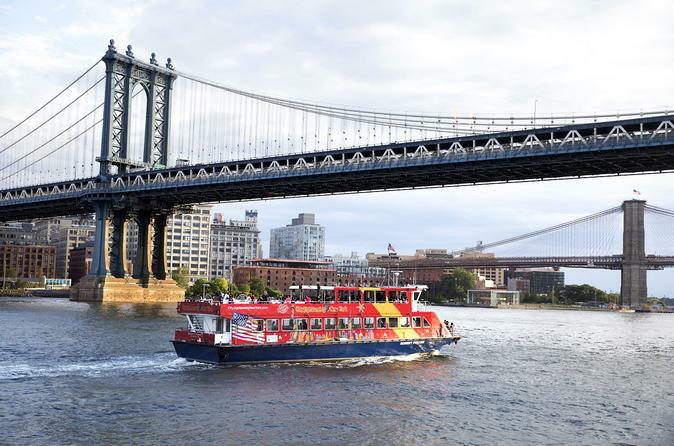 Design your own itinerary with the New York City Hop-On Hop-Off Tour and Harbor Cruise. Tickets are valid for 48 hours, allowing you to set your own pace and see as much or as little as you like. There are over 40 stops around the city. For more value, opt for the VIP Pass which upgrades your pass so you benefit from skip-the-line access or add one attraction to your your tour. See the Botanic Garden, Brooklyn Museum of Art, Antique Furniture District, Fulton Mall, Brooklyn Museum and much more. Brooklyn Tour departs from Old Fulton Street by Prospect Street in Brooklyn. View over 20 sites from Central Park, Times Square, Empire State Building to Greenwich Village, SoHo, Chinatown and Little Italy. See the glittering lights of the city that never sleeps! This is NOT a hop-on hop-off tour. Special Offer - Book by March 31 to save 10% off our previously offered price! - Book Now!